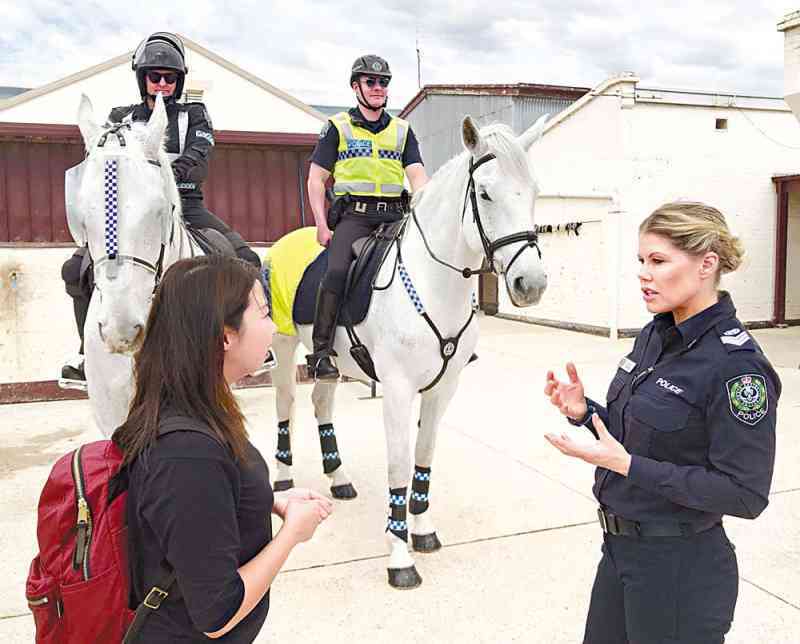 Under the arrangement of the Police College, Superintendent Tong Sze-mun attended a four-week training exchange programme held by the South Australia Police (SAPOL) in Adelaide, Australia, in October. Ms Tong called on SAPOL's crime units, operational units and its academy. During a visit to the Security and Emergency Management Service, she shared experience with her counterparts and exchanged best practices in major event planning, major incident management, as well as counter-terrorism strategies. In addition, Ms Tong joined the annual Criminal Investigation Seminar in which detectives of Australian Federal and State Police worked together to combat methamphetamine. She was also invited to participate in the bi-annual Senior Officers' Seminar, which was chaired by SAPOL Commissioner Grant Stevens to explore ways to enhance the service quality of SAPOL. Ms Tong said the programme was very rewarding as it addressed policing issues and challenges from both strategic and practical perspectives.